Headphones are a very personal choice. But once you have a listen and determine they sound good to you, what then? Are they comfortable for long periods of time? Will they stand up to heavy use? Do they have the features you need? Can they survive the hostile environment of a cube farm? I'll try and answer these questions and more about the Bose Soundlink On-Ear Bluetooth Wireless Headphones. Check out my full review over at GeekDad.com. An audiophile I am not, but I do enjoy great sounding speakers and headphones. Many years ago I bought a nice pair of over-the-ear Bose headphones and I used them for 5 or 6 years until they literally fell apart (the padding disintegrated, electronics were still working perfectly). Several years after I bought the Bose headphones it was time to buy a new sound system for our family TV. I went with a Bose CineMate and have been really happy with the performance of that system. The only other exposure I had to Bose products was Bose Wave Music System my Mom bought, so I got used to the warm room filling sound of a Bose system listening to hers over the years. It has been pointed out that Bose is a very premium product from a price perspective and some argue that their components are sub-par compared to components used in other high-end systems. No doubt, Bose is an expensive product and they certainly capitalize on their name when it comes to pricing their products. But there is more to good sound that high quality components. The highest quality components can sound terrible of they aren't integrated properly and used in a way that maximizes their potential. This is where I think Bose really shines. The bottom of the unit has a small raised rubber base to keep it from slipping and to also keep the vibrations down from the base response (you don't want to rattle speaker against the surface it is sitting on when playing bass-heavy music). 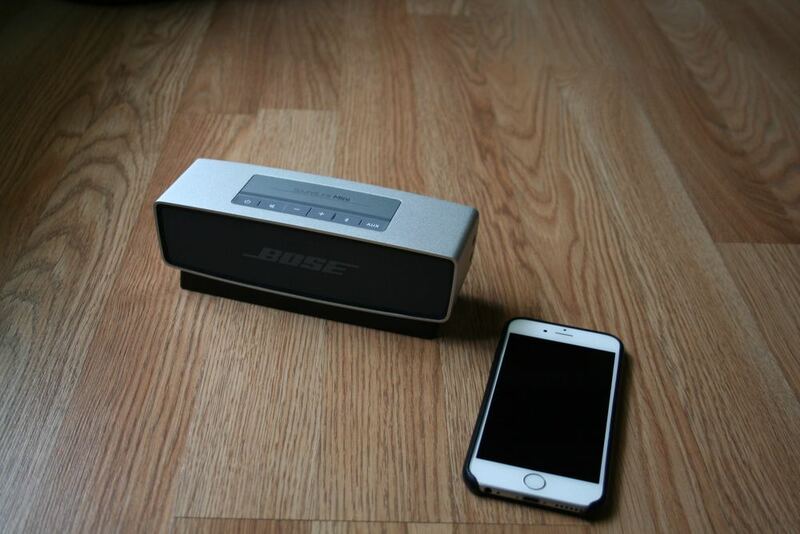 The Bose SoundLink Mini is a battery-powered speaker, so it comes with a power adapter whose plug folds down into a very compact travel-friendly package. The unit also comes with a small plastic base that can be plugged into the wall via the power adapter so that any time the speaker is "docked" the battery is being charged. So you have two ways to charge the speaker, plugging the adapter into the power port in the side of the speaker or docking the speaker to the dock which has the power adapter plugged into it. There is also a auxiliary in poverty so you can connect non-bluetooth devices to the speaker as well. So far the biggest use for me personally has been listening to music in the bedroom. I spend quite a bit of time each week doing homework for the classes I am taking to finish up my Masters degree, and while often times I am at the dining room table or on the couch with headphones on sometimes I need to get away from the family and this is a nice alternative. I have also been using it quite a bit for family game night. I mentioned we have a Bose system hooked up to our main TV and that is certainly powerful enough to play from the living room and hear in the dining room, but it is nice to have something a little closer to where we are sitting so the sound level can be lower and tuned better to our needs (not so loud to overwhelm us while playing games). 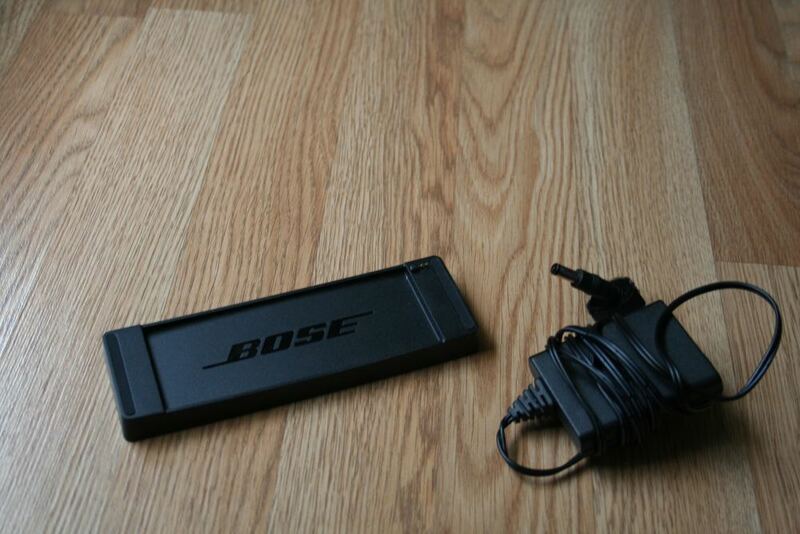 The Bose also works really well when watching movies and TV shows with the wife. There are a few shows we watch that aren't really appropriate for our kids (cough...Game of Thrones), so rather than waiting until we know for sure that everyone is asleep we pop the DVD into our laptop and use the Bose as the sound source. There is a very small delay in the audio when connecting via Bluetooth, but it is hardly noticeable and not worth the hassle of using a the aux jack to eliminate. I have used the speaker a couple of times as an external speaker for new digital stage piano (which as a stage piano does not have built-in speakers by design). The synthesizer and string sounds are amazing on the Bose and plenty powerful enough to use in a small room, but the Bose lacks the punch and clarity needed for the piano sounds. To be fair, it is very difficult to find speaker outside of a professional level monitor that will reproduce both synth and piano sounds, so this is not a knock against this speaker. 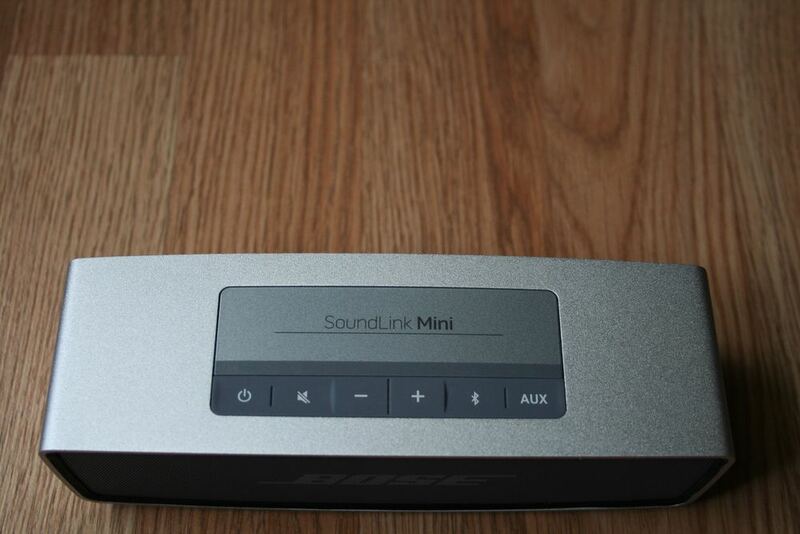 I also had no illusions that the Bose SoundLink Mini would be a good long term external monitor/speaker solution for my stage piano, but it is getting me by until I decide what I want to get as a permanent solution. As I stated earlier, I am no audiophile. I tend to like really heavy bass in my music and surprisingly the Bose doesn't disappoint. 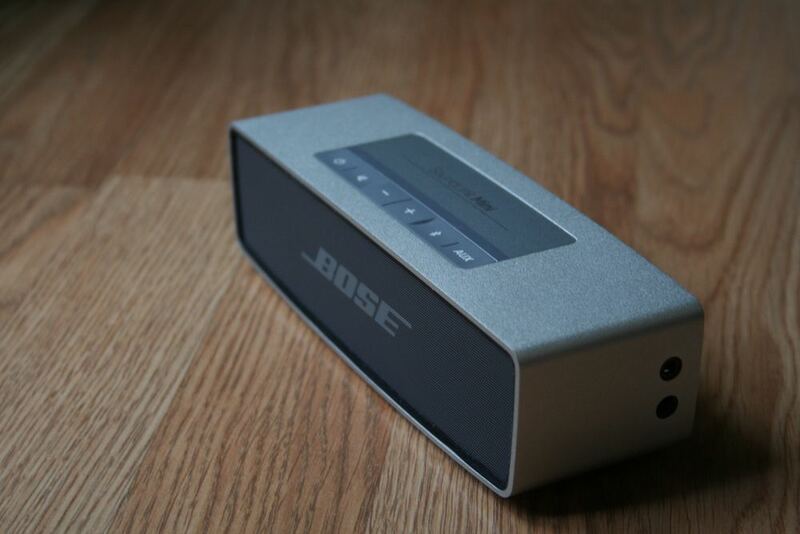 Bose isn't really known for its outstanding bass and you can only squeeze so much bass out of a portable speaker. Saying all that, the Bose strikes a good balance of being able to accurately reproduce the high end of the musical spectrum (good for classical music and spoken audio) but still producing enough "thump" to provide some punch on bass-rich audio. Don't get me wrong, the SoundLink Mini doesn't hold a candle to the audio quality of the larger Soundwave Bose devices, but it comes a lot closer than I expected. Overall I am very happy with the sound quality of this small portable speaker. 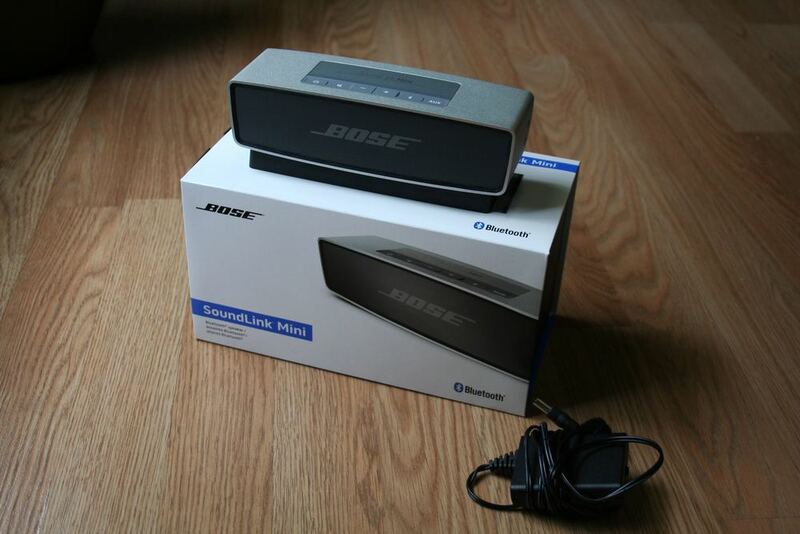 There are certainly more cost effective solutions out there, but I've had a really good history with Bose products lasting a very long time for me. 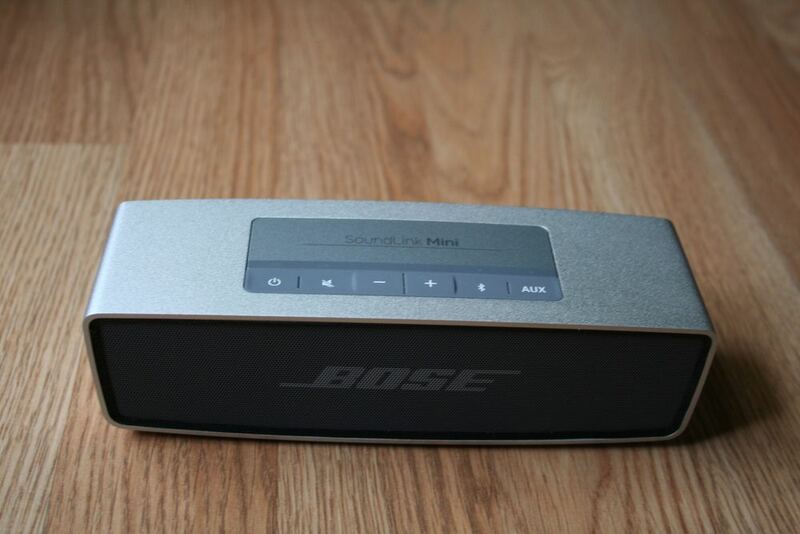 So the combination of durability and a sound quality that matches my personal preferences well the Bose SoundLink Mini turned out to be a really good choice for me.